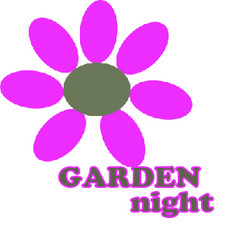 Celebrate Spring and all things new during Garden Night. 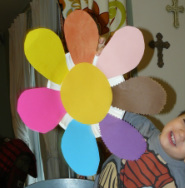 Get down and dirty with some family fun. Make your favorite salad. 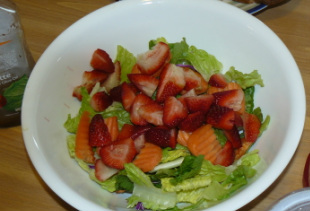 We threw together lettuce, strawberries, grapes, sunflower seeds, chicken and dressing. 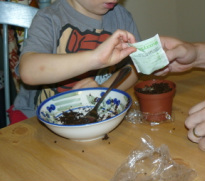 Make this more interactive by letting your kids pick out the veggies or visit a local farmers market for fresh produce. 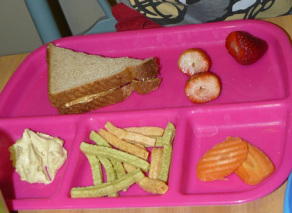 If you have picky little ones, you can use garden elements like: veggie straws and hummus, carrot slices, strawberries. 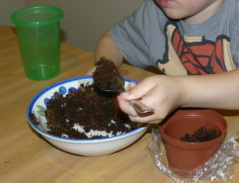 Make chocolate pudding according to directions. 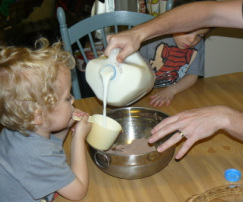 Pour into pie plate. 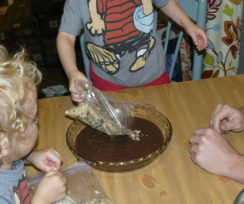 Crush graham crackers and sprinkle over the top of the pudding (can also use chocolate cookies). 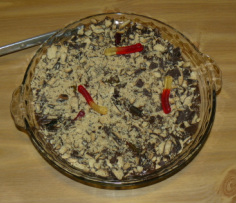 Bury gummy worms in the dirt. Chill for 20 minutes. Enjoy. 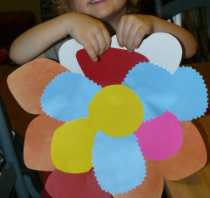 Use leaf template or cut your own leaf shapes from colored paper. 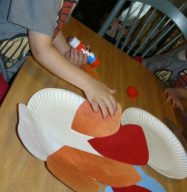 Glue to the edge of a paper plate. 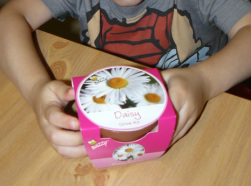 We found all-in-one little planter pots at a local store but you can also use any pot, soil and seeds to plant your own garden plant or flowers.